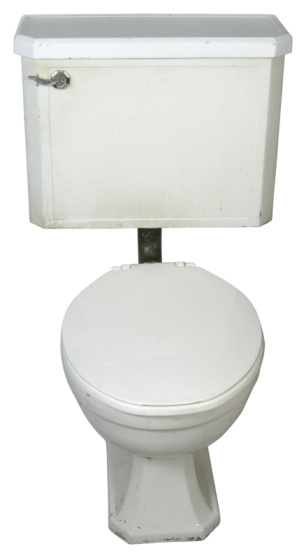 In-wall hidden tank toilets consist of a toilet bowl mounted to a frame installed in a bathroom wall. The tank is accessed by removing the rectangular wall plate of the flushing mechanism, called the flush actuator. Common in-wall tank toilet problems are the toilet water running after flushing, too low or too high water level in the toilet bowl and a rocking toilet bowl caused by an unlevel bowl mount. 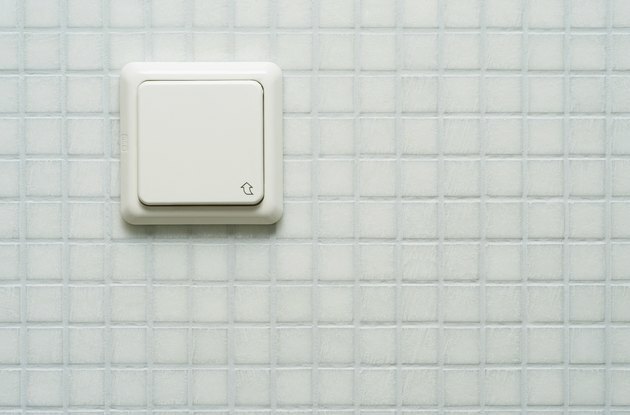 Although addressing these problems may seem complicated, you don't need to hire a plumber to fix your in-wall hidden tank toilet, you can do it yourself with a few simple tools. Flush actuators are located on the wall above the toilet bowl. Pull off the rectangular flush actuator panel cover located on the wall above the toilet bowl to reach the flush valve of the toilet. The flush valve consists of a horizontal bar attached to a plastic rod or spindle that is inserted into the flush actuator. Inspect the plastic rod or spindle of the flush valve. Beneath the rounded head of the rod, on the rod itself, are two short plastic ribs. The ends of the short ribs should rest up against the back of the actuator panel with no space between. If there is a gap, measure the gap with the measuring tape. Pull out the plastic rod and snap off a portion of the end of the rod equal to the measurement of the gap. Reinsert the plastic rod. The short rib ends should now come into contact with the back of the actuator panel. Rotate the plastic rod counter clockwise one turn to lower the water level of the tank if the water level is too high in the bowl. Rotate the plastic rod clockwise one turn to raise the water level of the tank if the waste is not removed from the bowl when you flush it. Push on the horizontal bar of the flush valve to create a proper seal if it is not resting snugly against the actuator. Remove the bolt caps from the sides of the toilet bowl. Use a wrench to loosen the hex nuts on the bolts. Set a level on the toilet bowl and then adjust the bowl until it is level, moving it with your hands at the point it sits on the bolts in the wall. Tighten the hex nuts by using the wrench and replace the bolt caps.